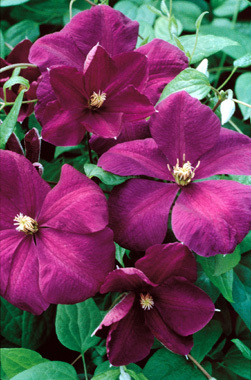 Perrin's Pride Clematis: Dusky purple flowers. that will compliment many other plants in your garden. Vigorous and long-blooming, it will give you weeks of color!